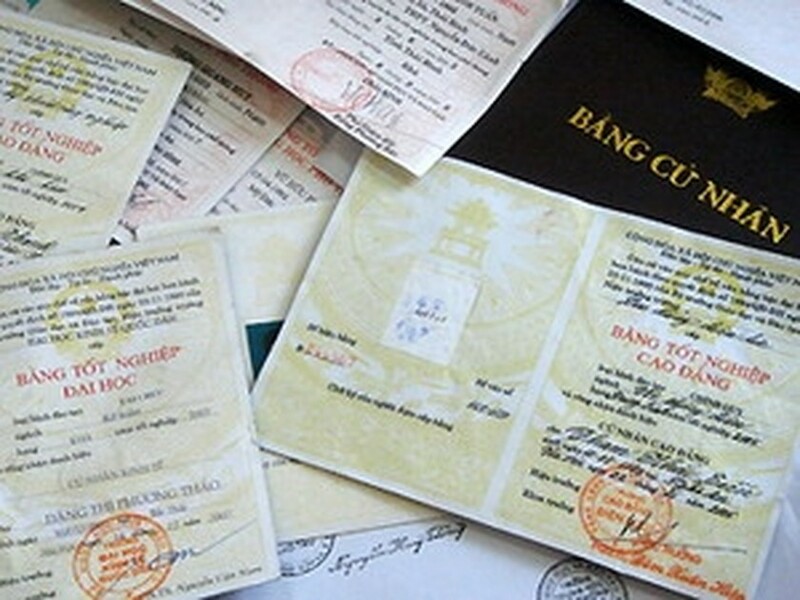 Police from southern province of Long An have recently caught 87 commune level officials using fake degrees and fake diplomas as part of job applications for higher positions. Most of those are at key positions such as deputy secretary of communes party committee, deputy chairman of communes’ People’s Committee and others. According to the Long An Province’s Inspection Commission, officials who used fake degrees to attain a higher position within local Party congresses, are asked to eliminate themselves from the list of the provincial delegates to take palce in higher level Party congresses.. In addition, depending on the severity of cases, the province will ask commune authorities to issue reprimands, warnings or dismissals.